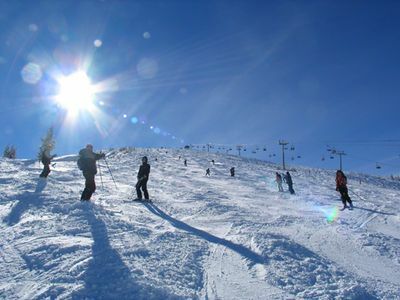 ISCA member Association Sport for All Serbia is ready to host its 23rd Ski Fest on the Kopaonik mountain range in central Serbia on 18-22 March 2015. The programme features competitions for age groups ranging from students to veterans, training courses, entertainment and free skiing. The event will also take other sports, such as volleyball and mini football into the snow, with all participants invited to join in the fun. The Ski Fest packages cost €168 or €190 depending on the hotel preferred and participants can register at Association Sport for All Serbia’s website or by contacting the association directly. The event is supported by the Serbian Ministry of Youth and Sports and Sports Federation of Serbia. See the full programme, pricing and accommodation details in the PDF below or check out Association Sport for All Serbia’s website (in Serbian) for more information on the event.